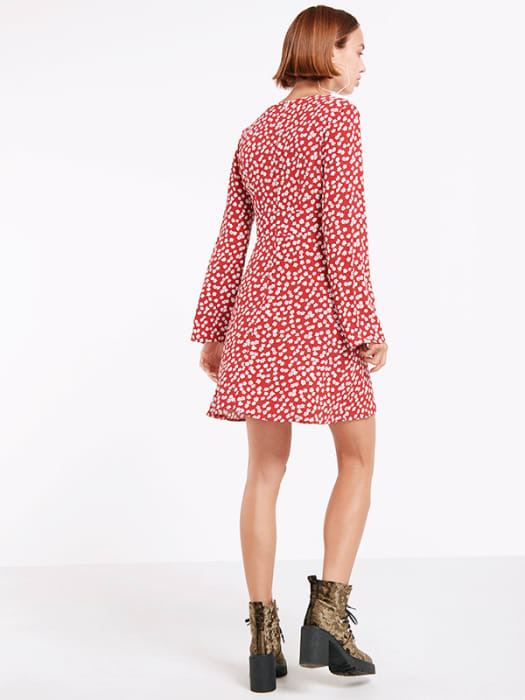 The all-purpose minidress gets an update for AW17 with this stare-stealing style. 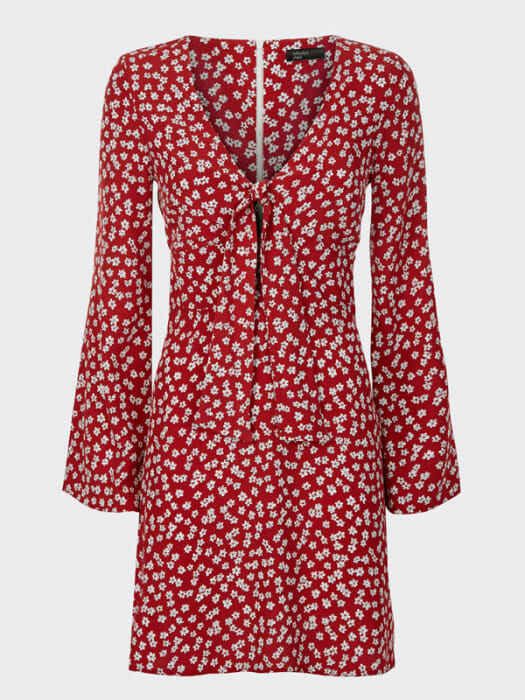 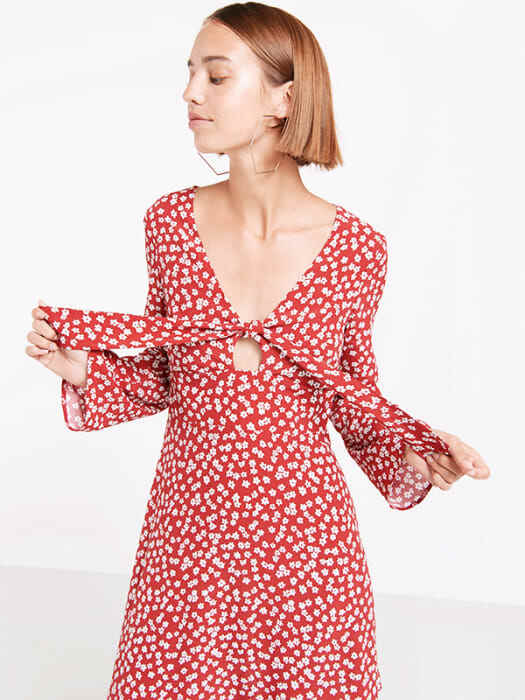 Red with a contrasting white floral print, the streamlined shape hugs the figure in all the right places, while flared sleeves and tie-front detail provide that finishing touch. 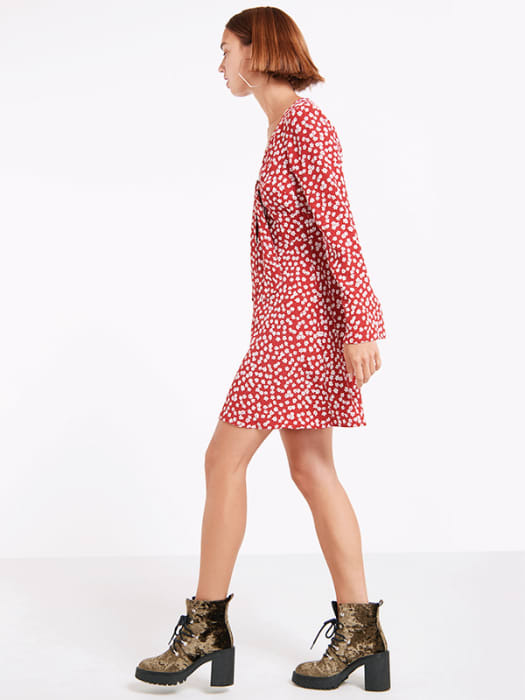 Team with boots for a 90s edge.